Owner of the Pink Pucci Dog Spa & Salon in Torrance CA Japanese Style and Scissor Cut Dog Grooming. Also have dog daycare, puppy kindergarten and dog training services at our location. Nala is ready for Halloween…are you? We finished Nala with orange bows. March 1st timer Dog Bathing Special! 10% Off First Time Dog Baths for New Clients with appointments on Tuesday, Wednesday, Thursday or Friday. Please print this coupon, show this coupon on your smartphone or mention the “March Special” when making your appointment to redeem. Please call 310-329-2649 to make your appointment. Wow we’ve been in business for over 7 years serving the South Bay dog grooming community! I just wanted to thank our loyal customers I’ve met throughout the years. We really look forward to seeing you and your pets during their grooming and daycare visits! I’m happy to say that we now have a stable group of experienced groomers that are ready to take care of your dogs grooming needs. We specialize in small breed dogs and take extra care to make sure they have a stress free and gentle grooming experience. Please call us at 310-329-2649 to make an appointment. Customers that schedule their grooming interval for every 3 or 4 weeks will receive a $5 discount and Free Upgrade to Premium Mauro Shampoo! 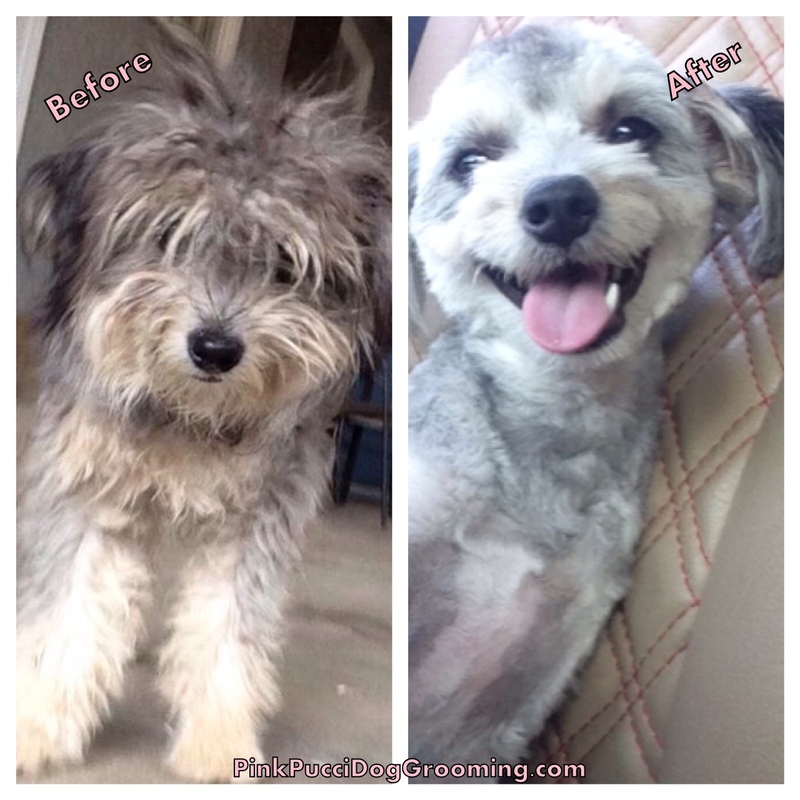 Regular grooming prevents tangles and matting making the grooming experience much less stressful for your pet. If you’ve used Pink Pucci for your grooming needs recently, a review on one of the popular online review sites would be greatly appreciated! If you have any issues we can address, please let us know directly. Thank you! Say hello to Sage the Maltese!